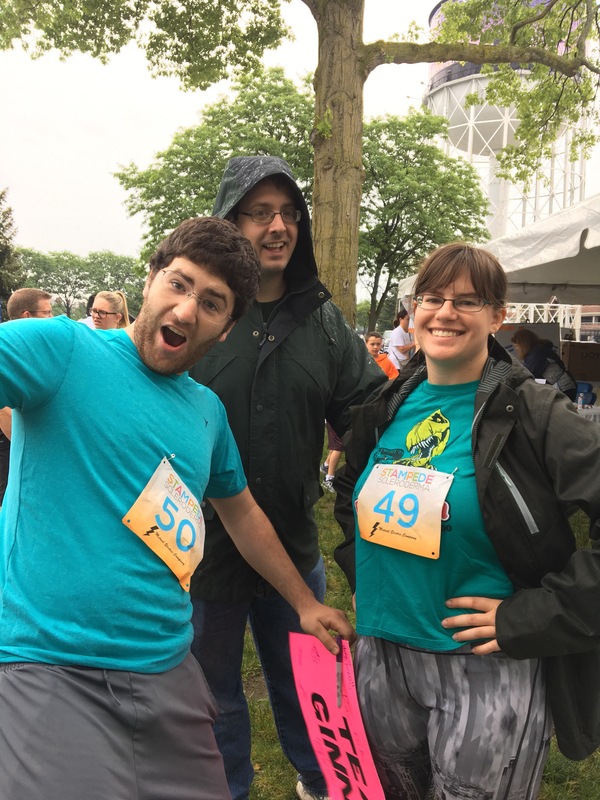 This past Sunday was the Stampede Scleroderma, a 5k and one-mile run/walk held at the Detroit Zoo to raise awareness and funds to find the cause and cure of Scleroderma, an autoimmune disease. 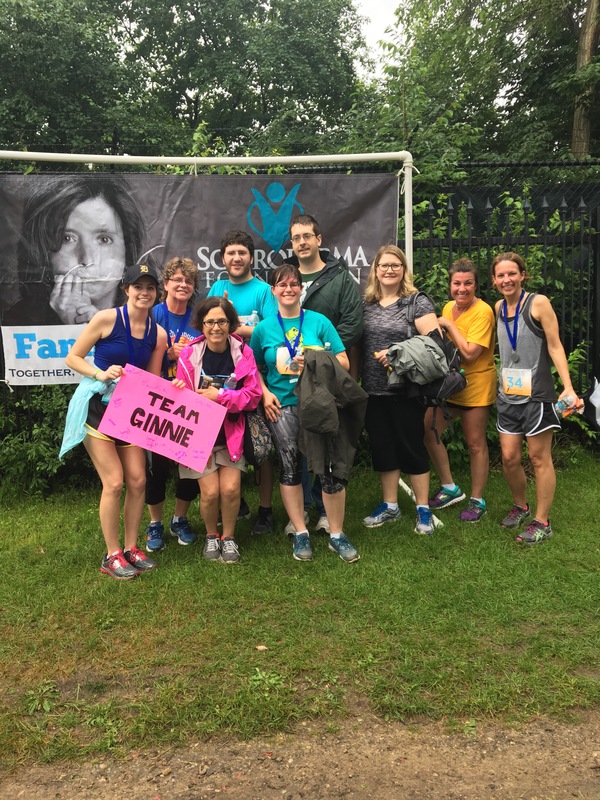 This was my first time committing to a foundation and raising money. 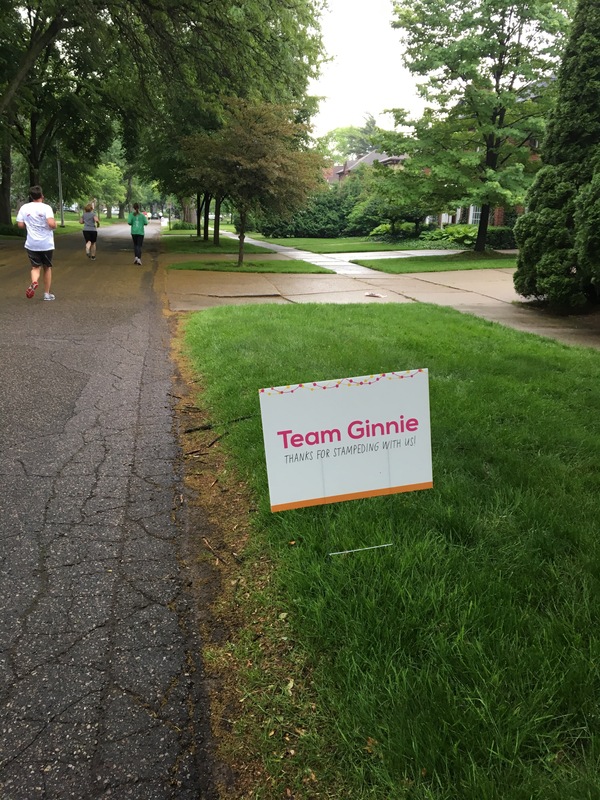 Thanks to the generosity of friends, family, and anonymous benefactors, Team Ginnie raised an extraordinary $570! I don’t think I lacked faith, but I was thinking we would only be capable of raising $250. Not only did Metro Detroit reach its goal of $80,000, but they surpassed it! 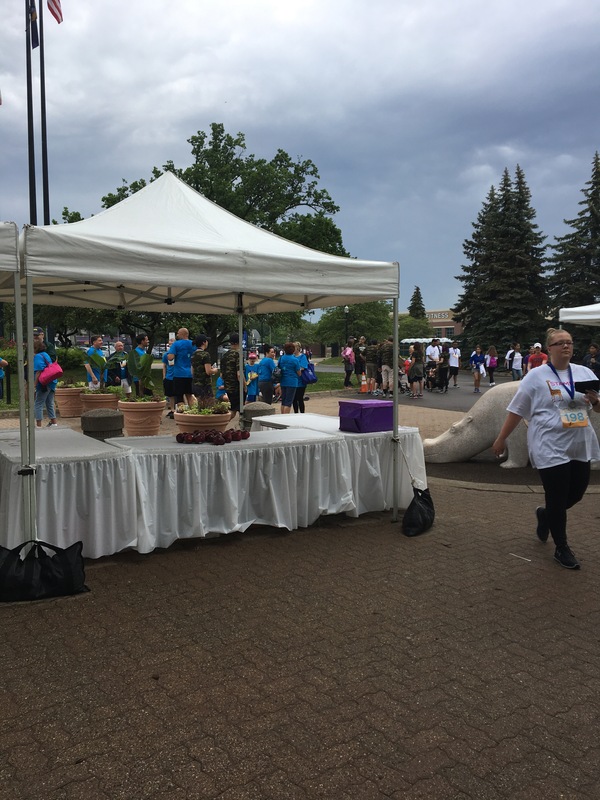 When I checked this evening, Stampede Scleroderma raised $105,780!! At the event, I learned this was the 38th annual run and they had a record number of teams participating- 68! Incredible. The entire week prior we were expecting a rainy Sunday. The night before, the forecast changed, predicting no rain until 11am. It figures that in the morning when I woke up it would be thunder storming. I was concerned, knowing I had family coming to participate in the event with a long drive. 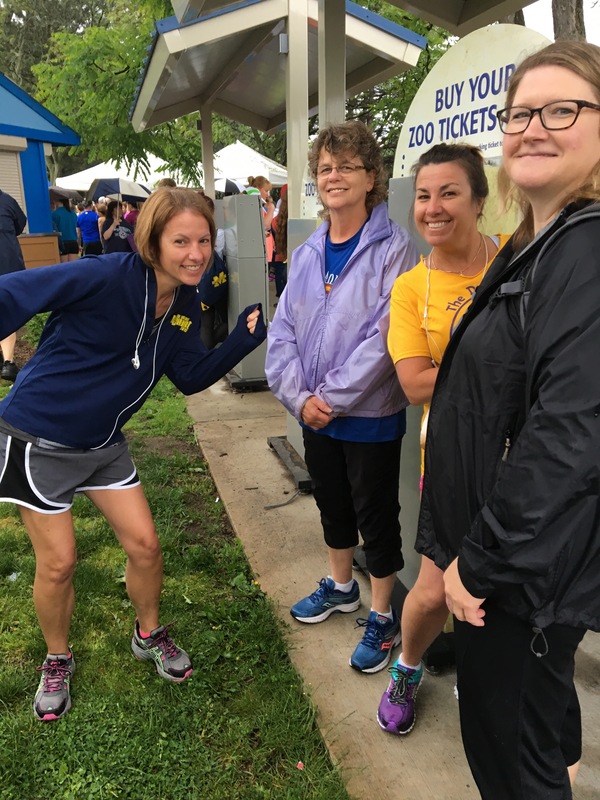 Thankfully, the rain stopped and held off until after the run was complete. The check-in was a little disorganized. I wasn’t surprised by this for small charity races. But I advised everyone attending to plan to arrive at least a half hour early. While we were waiting to start I took some group pictures and bought 10 tickets for $20 for the gift basket raffle. All of the baskets were high value; I’m glad I thought to bring cash with me in my running belt. The drawing was held after the races were underway. 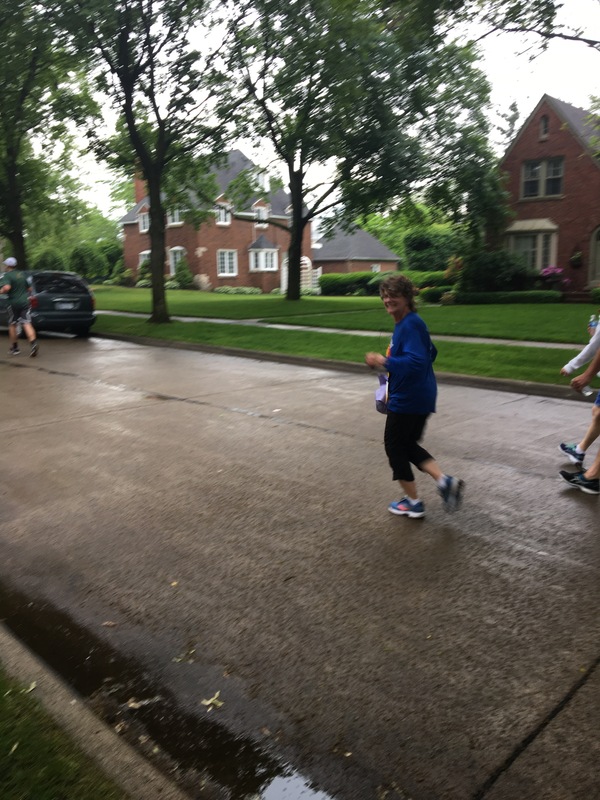 The run and walk started outside the zoo inside the Huntington Woods neighborhood. Since it was a casual charity run, I doubt anyone had issues with the start’s organization. But then we were off! I kept the pace very easy since I had a hard run on Friday and wasn’t feeling a hundred percent. There was very little traffic at 8am; however a couple side streets should have been blocked; I hoped people turned and looked their head before crossing. And the street before the finish was packed with walkers whose course joined that of the runners, which would not have been an issue but there was an SUV insisting on driving down his street. It was not his brightest move, needless to say, jeopardizing everyone. The houses were beautiful to look at and the streets flat. There was one hill I could see up ahead but lucky us- we turned just before it. I finished in 28:42 (9:38, 9:22, & 9:16) – my aunt running said she could see my hat ahead of her the whole time until the end. I even stopped and took a picture of our team sign displayed on the course. My watch only had the run as 3.06 miles. 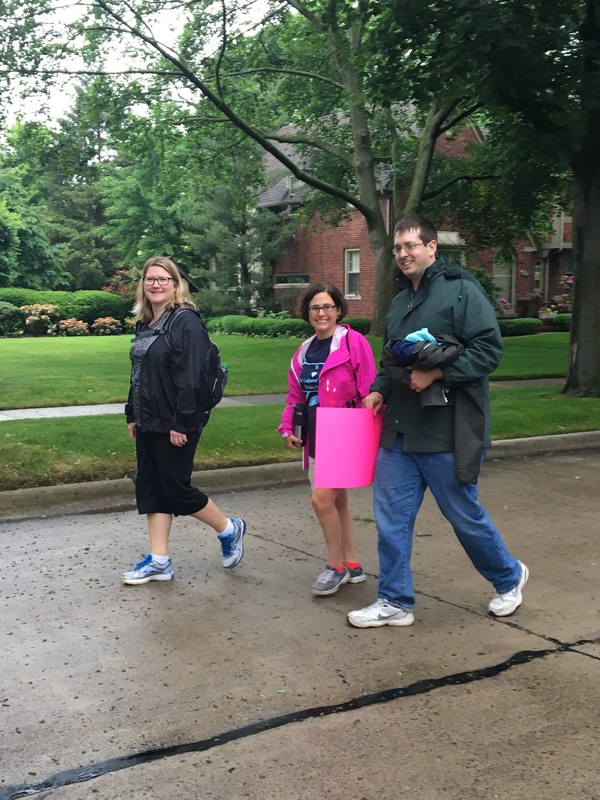 There were about 200 participants in the 5k and hundreds of walkers in the mile. What a great turnout! 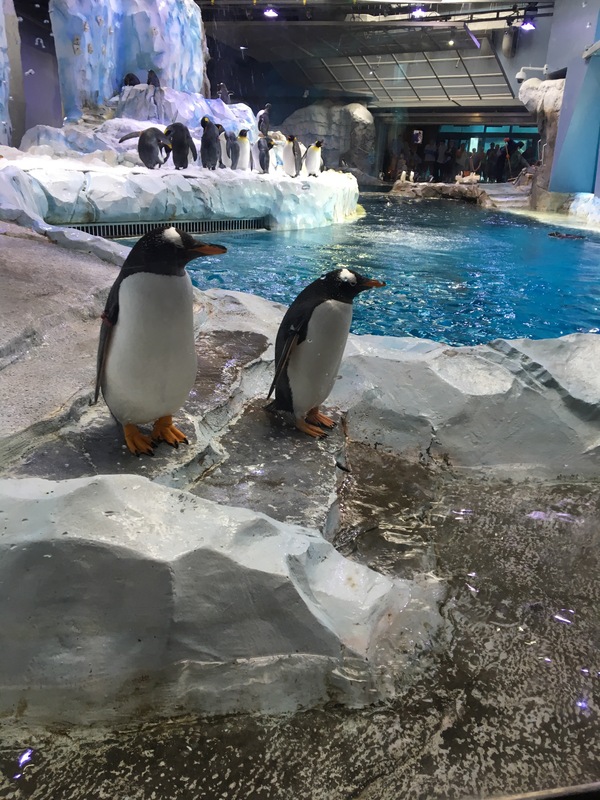 …we headed back to the zoo entrance and checked the raffle. 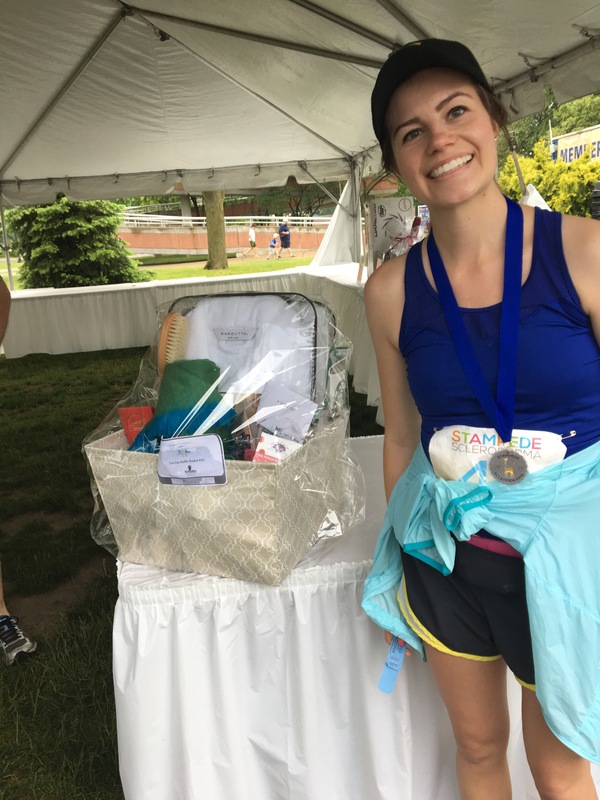 Lo’ and behold- I won a spa gift basket. The Starbucks card in it was more than the tickets I paid for and I’m writing this blog post in my new [oversized for me] bathrobe. It was pretty exciting to win a nice gift basket like that. 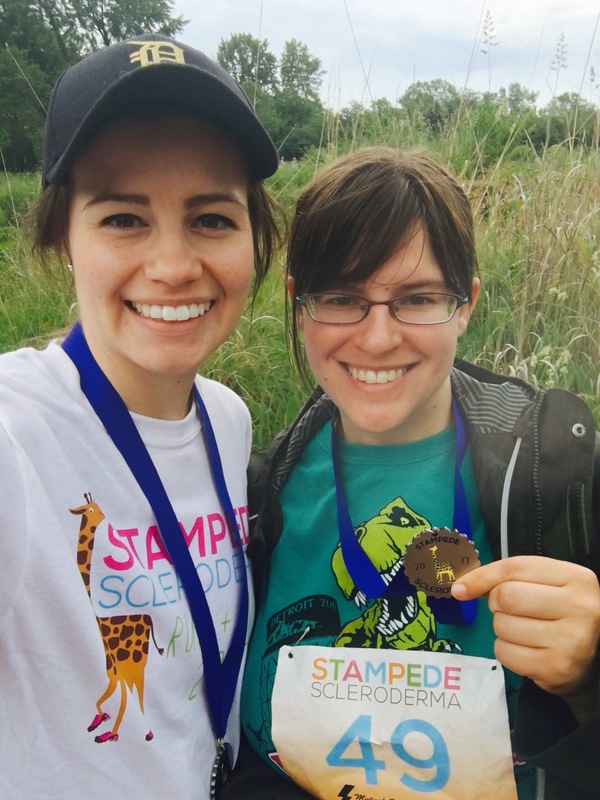 What cute t-shirts and medals! 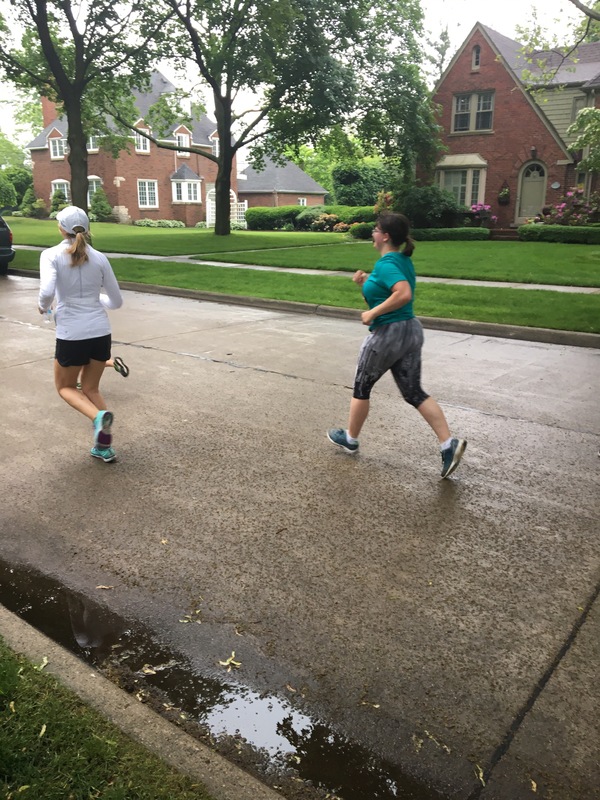 This was my sister’s 2nd 5k! 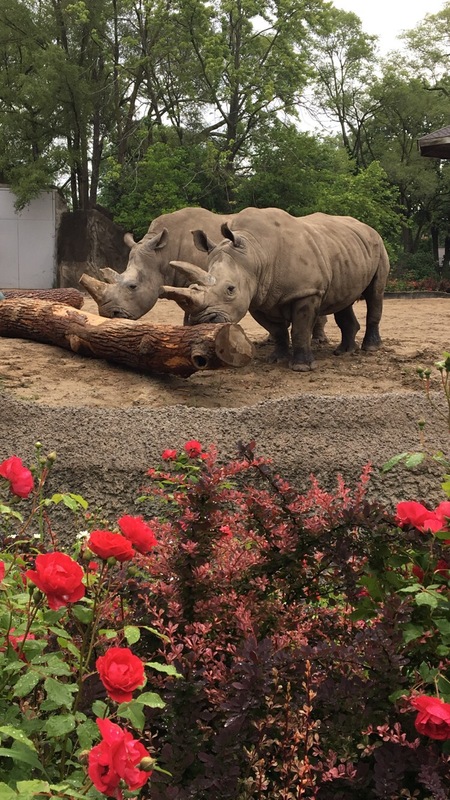 We walked around the zoo for a little bit and all the animals were out – I guess they aren’t bothered by light rain! Then the sun came out for a beautiful Sunday. The weathermen lied to us all week.